This past week was spring break for Toledo Public Schools. Because so much of my job involves working with our partnership with Keyser School I will generally take time off during their holiday breaks. This year there was just too much going on at work so I only took one day off and did a half day on Tuesday. I did a little spring cleaning ~ started washing windows inside and out. 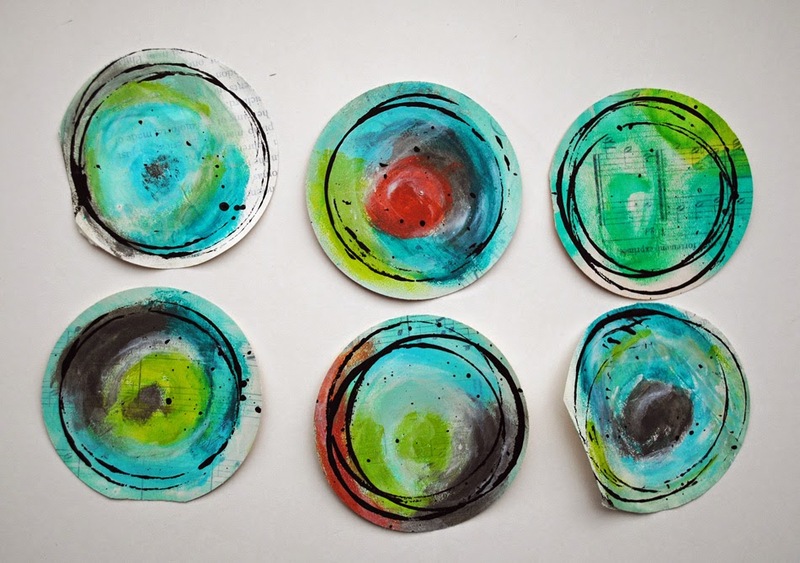 On Wednesday there was a lot of talk in the Documented Life Project (DLP) Facebook group about my painted circles tutorial and it gave me the bug to paint some circles also! Sneak Peek: Coming in May! In my last post I talked about how my DLP planner is expanding and that I had to add larger rings to accommodate the pages. I seriously don't think I will make it past the 6 month mark but am going to try to get all 6 months into this journal. I started putting together a new altered book binder journal to put the second half of the year into for DLP. 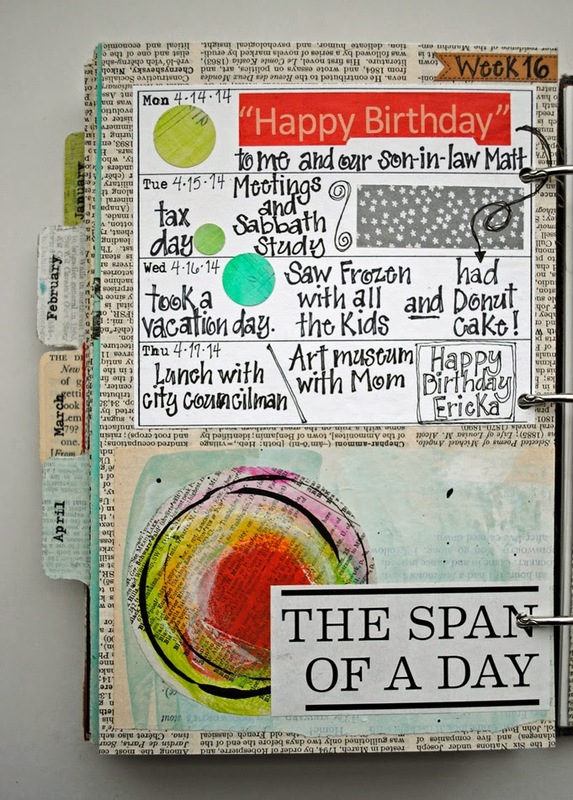 I have had so many questions about how I made my altered book binder journal that I decided to do two at the same time AND take step-by-step pictures as I go. I am putting together a mini class on how to make them. This will be the first class for my little blog!Watch for it in the next month! Enjoy your week and make some time for art! 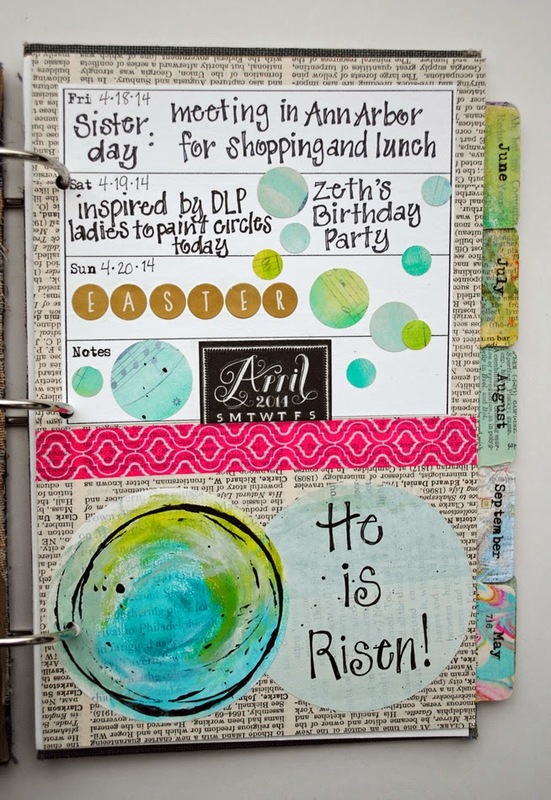 I love your painty circles and you journal is great. It looks so fun. will look forward to seeing your class. 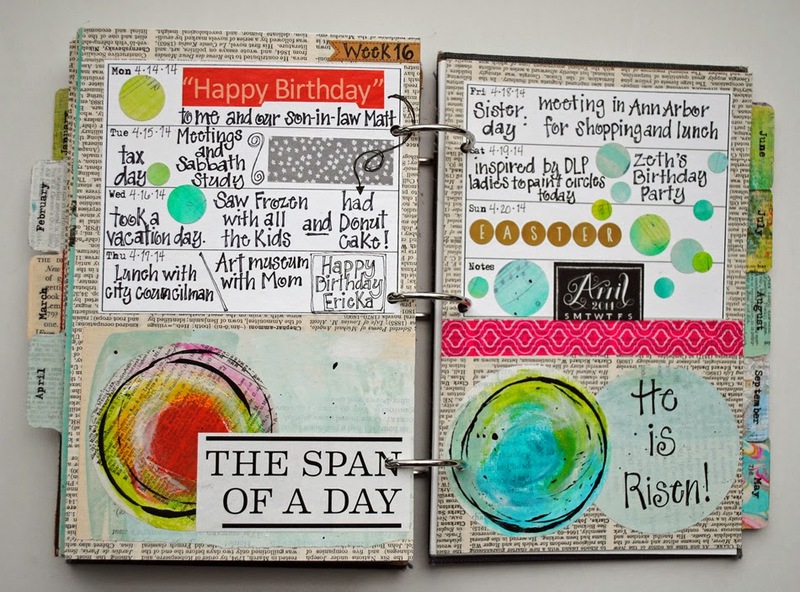 Great journal pages! I love your handwriting! I can't wait for your mini-class since I'm positive that my journal will burst any day. 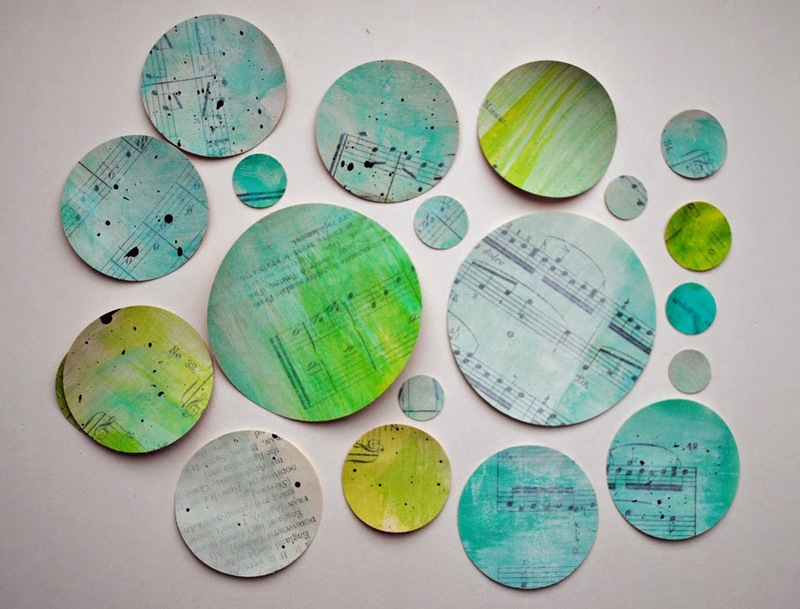 I'm hoping to try some circle making tomorrow. Thanks for sharing your instructions! 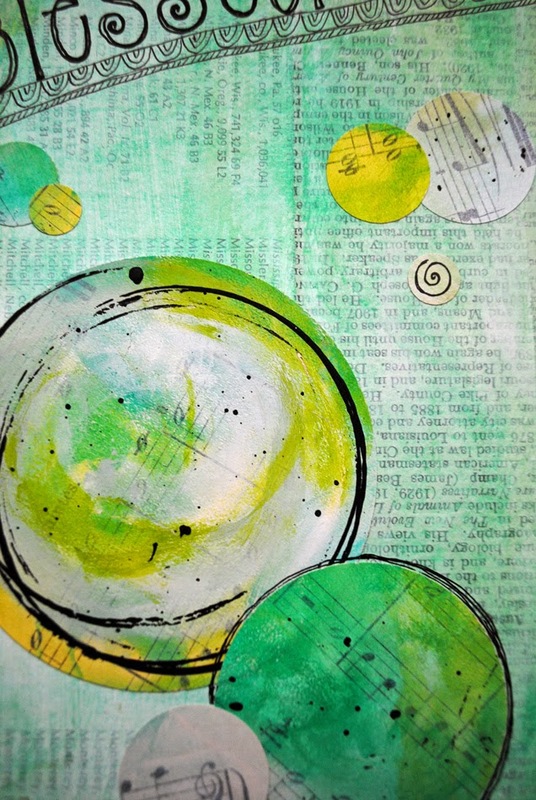 I love your painted circles also!!! I have made a bunch this week after seeing them on TDL FB page. I can't wait for your class either...........I am just now starting my journal/planner. Couldn't find the moleskine so I had to improvise and make my own also but I would LOVE to know how you made your altered dictionary one.